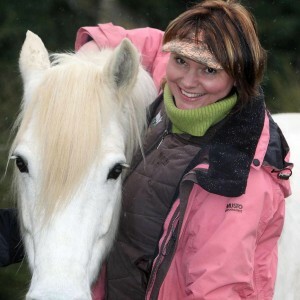 Sun Tui is a leading psychological consultant, practitioner and trainer within the field of equine assisted facilitation with specialism’s in executive coaching, psychotraumatology and PTSD. The IFEAL Method of Equine Facilitated Human Development (EFHD) has been developed by Sun following an extensive 3 year training with Linda Kohanov and Kathleen Barry Ingram MA in Arizona. The IFEAL Method is Sun’s response to her desire to see evidence based equine facilitated practice delivered safely, effectively and professionally considering the needs of both people and horses. Sun established IFEAL Qualifications Ltd as an accredited degree and Masters equivalent level training provider and courses have been certificated under Excel, Pearson and now Crossfields Institute (regulated by Ofqual). Sun and the IFEAL Q faculty have been delivering these pioneering trainings since 2007. The Dare to Live Trust charity was founded by Sun to provide education and life skills programmes to improve the wellbeing and ease the challenges that servicemen and women experience as they transition into civilian life. Recently this has been expanded to support young people as they transition into adult life. Sun demonstrated a passion for developing human potential with initial training as a Jungian and Psychosynthesis Counselor and Bereavement Counselor after extensive esoteric studies with the Scientific and Medical Network and the Spiritual Healing Trust. 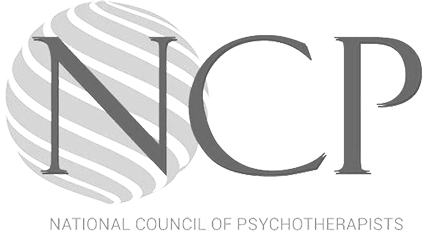 Current studies include a post-graduate diploma in Psychotraumatology and PTSD. Sun Tui is a support tutor on ICS PG Diploma in CBT based Integrative Approach for Treating Complex Trauma and PTSD in Adults and Children. Sun is currently undertaking a doctorate in the applications of Equine Facilitated Human Development through Canterbury Christ Church University which includes a clinical research programme to evaluate the IFEAL Method where applied to the Dare to Live Programmes for Veterans. Aged 25, Sun Tui won the Princes Youth Trust Young Entrepreneur of the Year Award for her successful bespoke fashion design business. She then went on to build a consultancy for business start-ups, implementing management, marketing and accounts systems for a range of small businesses within the fashion, complementary health, restaurant and construction sectors. Sun studied Fine Art at UCA Farnham, and painting, in various forms, helps her relax and refocus. Spiritual practice has always formed a core of Sun’s approach to her professional life and she most closely identifies with the Chinese tradition of Daoism. Sun practiced Goju-ryu Karate and Akido martial arts for many years. Today Sun brings techniques and movements from her practice of T’ai Chi and Chi body work into many of her courses. Sun did her original equestrian training with the British Horse Society, providing a solid foundation for the integration of a wide range of relational and other natural horsemanship principles derived from her extensive studies both in the UK and overseas. Sun’s continued equine training includes working with the Bruce Logan Foundation and Applied Equine Behaviour. Sun’s passion for the development of Equine Facilitated Human Development is a direct result of her successful transitional journey through various challenges in her own life. The death of a child, a younger child’s journey through cancer, the sudden loss of both her parents, divorce, living with family members in recovery from addiction and her own rehabilitation from a near fatal car accident and PTSD, are all part of the rich tapestry of Sun Tui’s life, so similar to the life of many people she meets in her practice. Sun Tui believes it is not the incident itself that causes trauma, it is the inability to express and process the emotions of the experience: “Stuck emotions leave us blocked and unable to move forward with our lives in a fulfilled way”. Sun Tui grew up in the British Military community and enlisted into the TA in Germany whilst married to a serving army officer. She fully understands the difficulties many ex-service personnel encounter, whilst coping with the transitions in and out of deployment and then onto civilian life. Sun Tui lives in Withyham, East Sussex with her partner, Robin Evans, occasionally her two daughters and the IFEAL herd, composed of 9 horses and various other animals.